Welcome to living at its finest! This gorgeous estate is move-in-ready and truly has it all. This impressive architectural statement blends modern living and classic luxury. You are greeted in an elegant grand entry. With 7 generous bedrooms, 8 well appointed baths, a formal kitchen and chefs kitchen, this home was built to entertain friends and family. Enjoy miami's beautiful weather on your own private terraces, relax by the pool and spa, or by the impressive courtyard, with its gazebo, bbq, and bar. Hop on the boat for a quick spin as the bay is seconds away, or if its too hot, take it inside and exercise in the home gym. The kids will never get bored in the media room or in the playroom! Other amenities include a 2,000+ sq. Ft master wing, custom wine cellar and remarkable privacy! A unique redevelopment opportunity in prestigious and exclusive gables estates community. Almost 1 acre (40,711 sf) with 200 +/- ft of sea wall. No bridges to the bay for easy navigation to sea. Property boasts luxurious island living and water views throughout. Renovate, expand or knockdown existing house and build your dream home on this luxury estate. 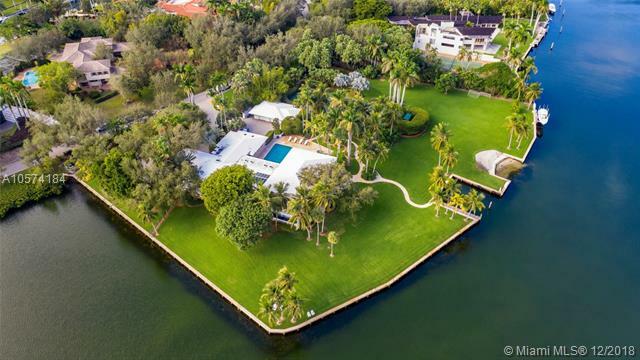 Located on over an acre lot in the esteemed guard- gated community of gables estates, this home boasts over 150 feet of spectacular waterfront. Unobstructed access to biscayne bay makes this property a boaters dream. Incredible opportunity to build your dream home on unparalleled waterfront. This is the deal of the year! Make offers! Seller says sell! Sell! Incredible value and opportunity to buy new construction! 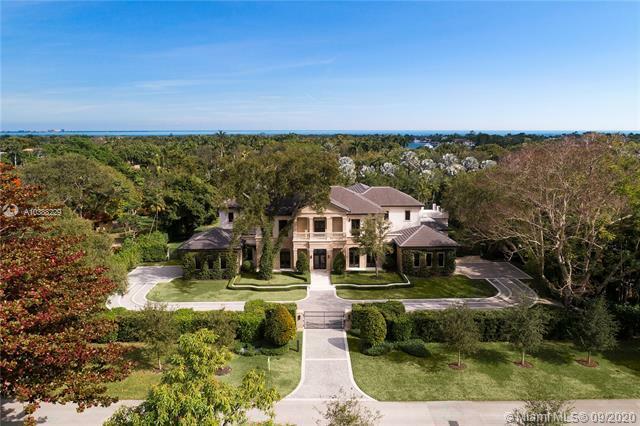 Waterfront villa over 9,800 sf living area, located at prestigious, private & gated entrada estates in coconut grove! This 5/5/1 home + separate 1/1 guest house is 5 properties from the open bay with a private dock, marine storage, 4 car garages, heated pool with jacuzzi & cabana bath space. Ground floor also features a summer kitchen with 2 enclosed bonus rooms. 2nd floor. Formal living and dining rooms, mia cucina kitchen with spacious pantry & wine cooler, family room, den & media/entertainment room. Third floor master suite & all bedrooms & laundry room. Terraces, open balconies & covered patios are positioned all over the villa. Lots of light-community tennis too.